I love chambray tops. They are so easy to pair with just about anything, and I really think they are a basic every girl should own! For a chilly day, I paired it with my Rock Star cord’s from Old Navy that fit surprisingly well. I typically have trouble fitting into Old Navy bottoms as I find they run really big. Even 0’s are too big for me. The Rock Star line seem to fit a lot smaller as these are 2’s. 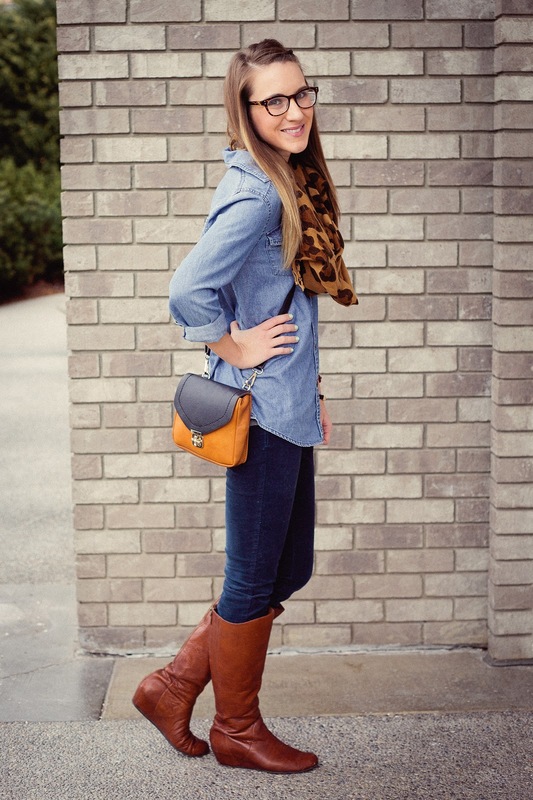 I really adore the color, a dark teal, and loved the addition of my favorite leopard scarf and two-tone crossbody bag. My prescription glasses from Firmoo where the perfect final touch for this casual day of work and errands. Previous Post Spring is Coming! I cannot wait to see your posts after this Hawaii trip! Of course, I'll be jealous of the weather, but still, happy for you nonetheless haha. 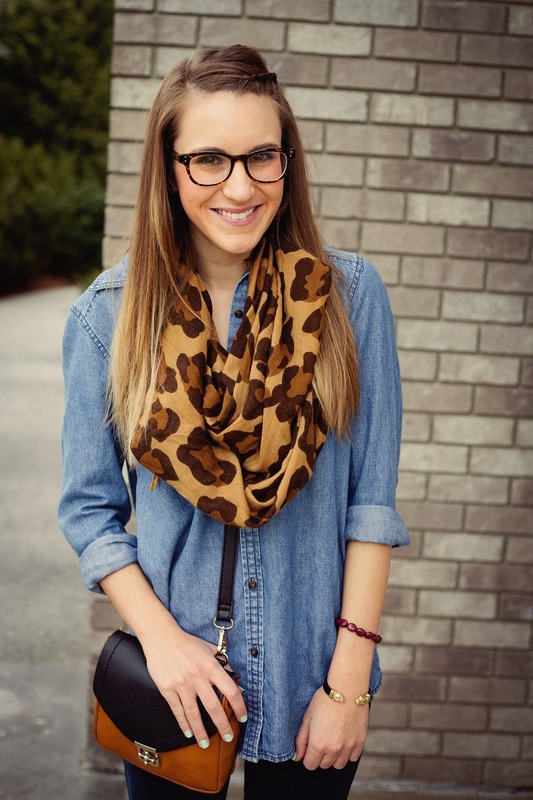 Love this mix of basics – cute glasses? check. 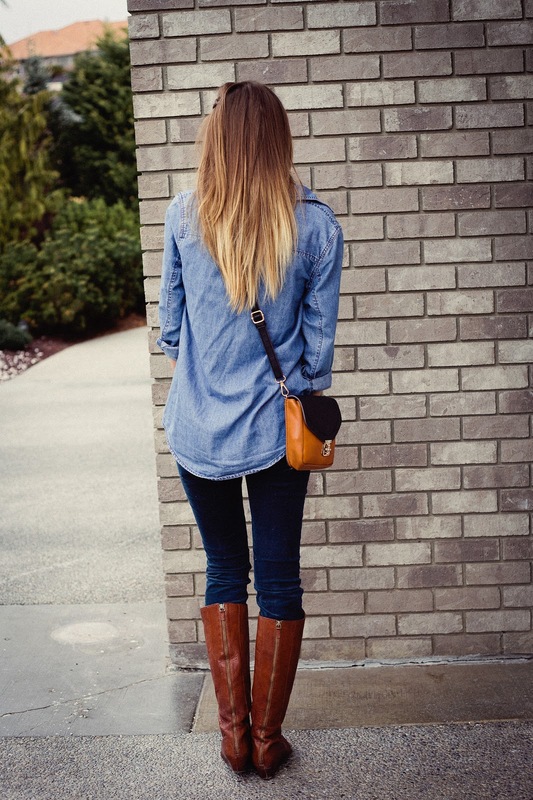 Chambray top? Check. 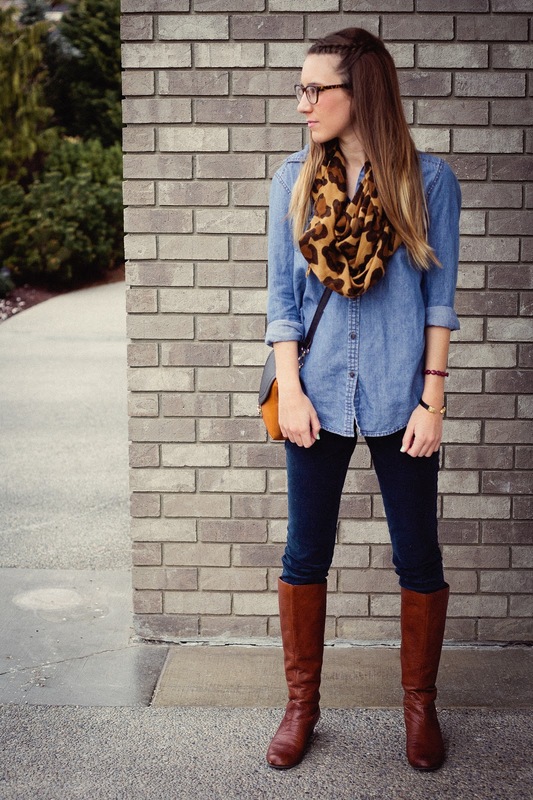 Bold, chic scarf? Check. On trend crossbody bag? Check! You look Super! Great shawl. Oh Miss Ashley, I just adore your scarf! And your little purse is just perfect. Cognac is such a pretty color! 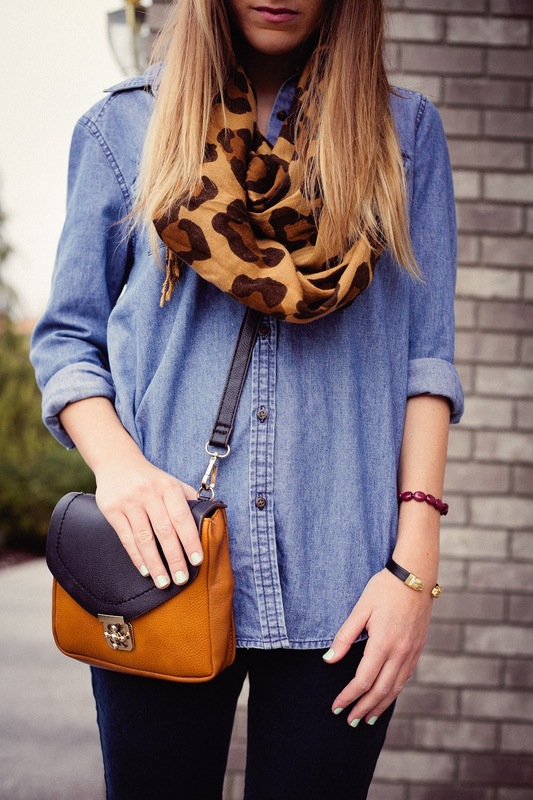 Chambray and leopard is one of my favorite combos. You look adorable! So cute. I wear almost the same outfit today. Cute outfit missy! Love me some basics! The whole outfit is to die for! We have such similar style! simple, but far from boring. perfection! Such a cute outfit! 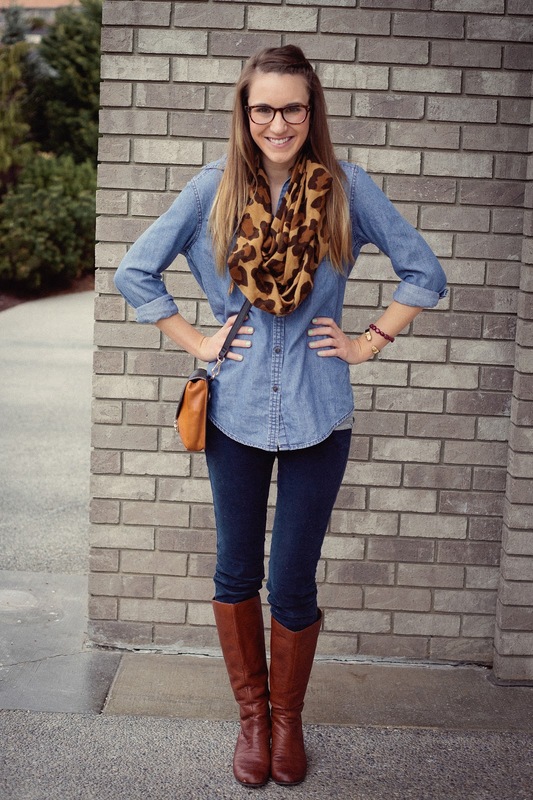 Love how you made a simple outfit look super chic with a leopard print scarf and tall boots! i hope you're having a blast in hawaii! It's a small and fits perfectly! !